Telego Mobile is one of the growing local mobile brand in the Philippines that offer smartphones and tablets with affordable price. 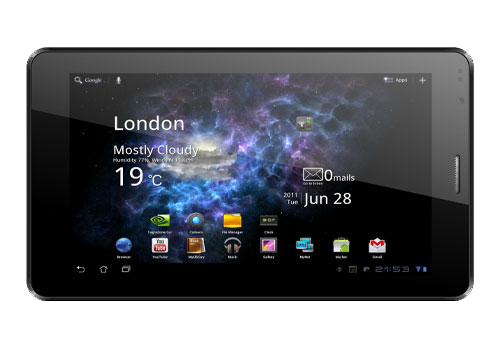 One of their android tablet features a 7-inch capacitive touch screen display with Android Jellybean OS, the Telego W711. The W711 is powered by a quad-core processor clocked 1.2 GHz with 1 GB of RAM and 4 GB internal storage (expandable up to 32 GB). It also has 5 megapixel main camera and VGA on front.